Hey friend! 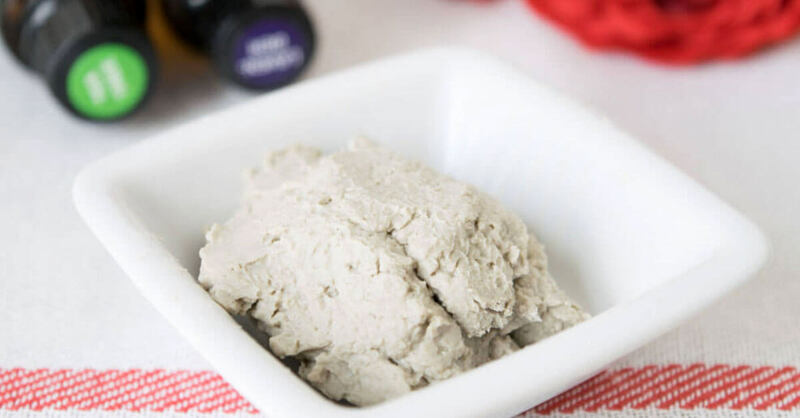 It’s Jess, here to share another DIY recipe that has had loads of reader requests – DIY Organic Facial Powder. 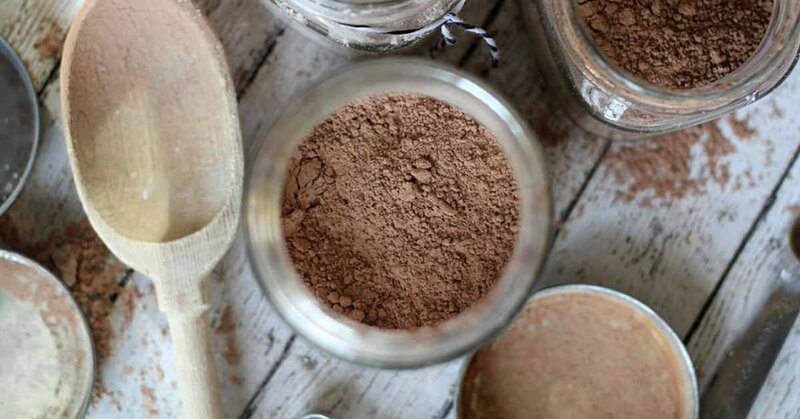 This DIY facial powder recipe has been a long time coming. If only there were more hours in the day (are you saying that with me)!? After publishing the DIY recipe and selling my Organic Foundation (sunscreen, moisturizer, & foundation base – all-in-one) I have been asked almost daily when I’ll come out with the powder recipe (and the product for sale). Finally, the DIY powder recipe is here. This powder provides a perfect finish for my DIY organic foundation recipe! So, WHY is it important to consider the facial powder you apply? You know that I have to go here. We HAVE to be aware of what we put inside of AND ON our bodies. So, what had I been using back in the day? Ouch! 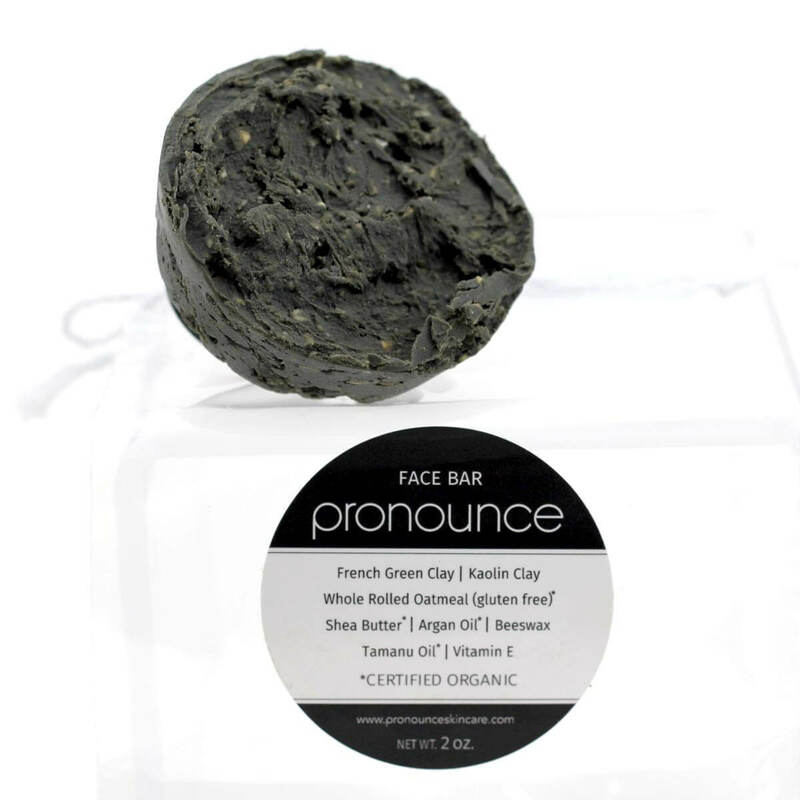 That ‘natural‘ mineral facial powder contains some nasty stuff, huh!? I thought I was being nice to my face by using this powder! AND at $34.00 for .42oz? Double Ouch! Another very popular brand advertising their line as a way to, “…nourish, energize, and renew…” skin is falling short (and charging A LOT). Check out the ingredient list below and keep in mind that this product will set you back about $21.00 for .21 oz. Airtight jar(s) for storage – A simple mason jar will work. 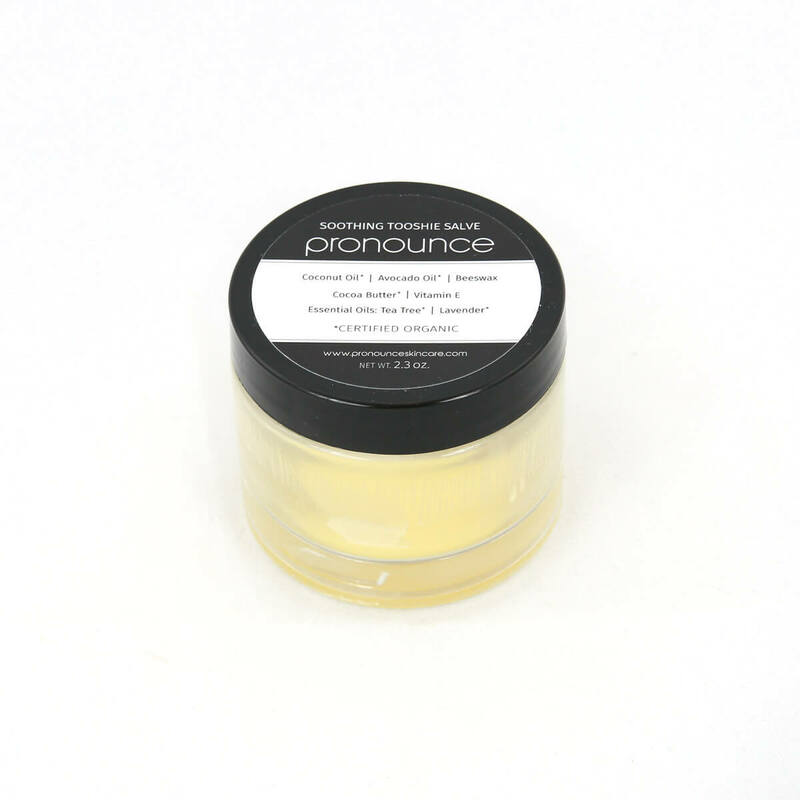 You can also find great containers in Pronounce Skincare Shop, like our awesome powder sifters…perfect for your healthy new facial powder!. This powder could not be more easy to create! Carefully combine all ingredients into your spice grinder and pulse until evenly combined. Be careful not to inhale powders, especially the zinc. Use a face mask (or hold your shirt over your face). Use an application puff (or paper towel) to test as you create. Once happy with your shade, carefully pour into your container(s) and secure lid. 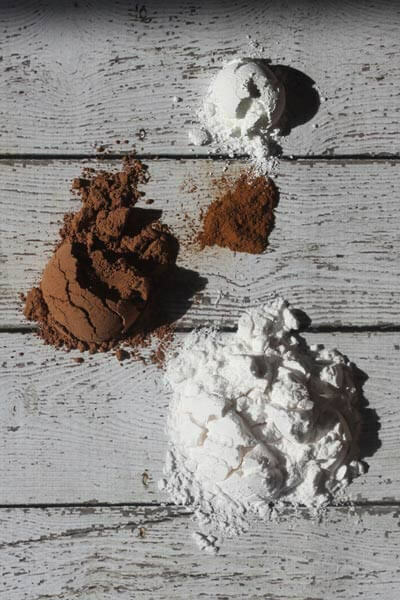 Below are the ratios I use to create light, medium, and dark powders, BUT here’s the beauty of this recipe…you can play with the ratios until you find your perfect match! Just keep notes as you go. Add 4-5 drops of Vitamin E to your spice grinder while mixing to help your healthy new powder stay fresh longer! Do I have to have a spice grinder? If you want this recipe to come out silky smooth with no little chunks of any one ingredient standing out, then the answer is yes. 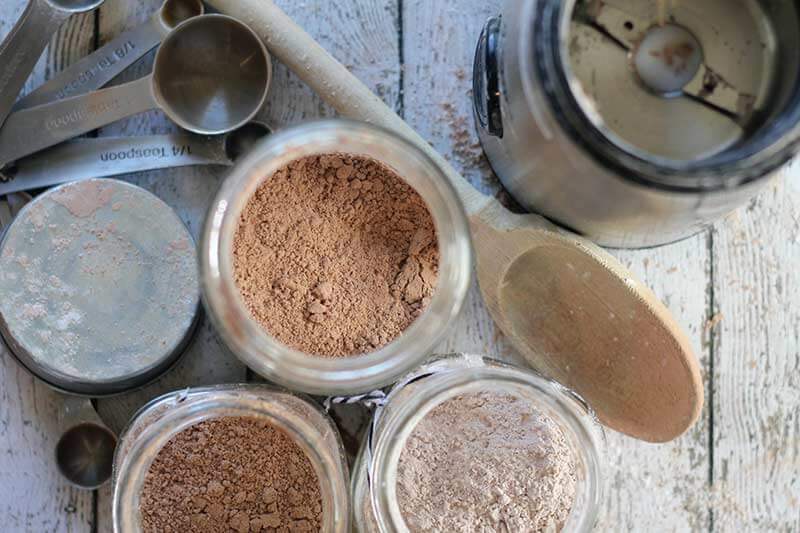 Or, if you don’t mind smashing the ingredients together with a spoon or fork for a LONG time (trust me on this one, I’ve tried it) then you don’t have to have a grinder, but you’ll never get the totally combined, silky smooth DIY organic facial powder for which you are hoping. I’m telling you… a quality spice grinder is a fantabulous piece of equipment to keep on hand for DIYs and in cooking, too. Can I leave out the zinc oxide? If you aren’t concerned with the sun protection factor (perhaps you are already using my DIY sunscreen and/or DIY foundation recipes), then yes, you can. 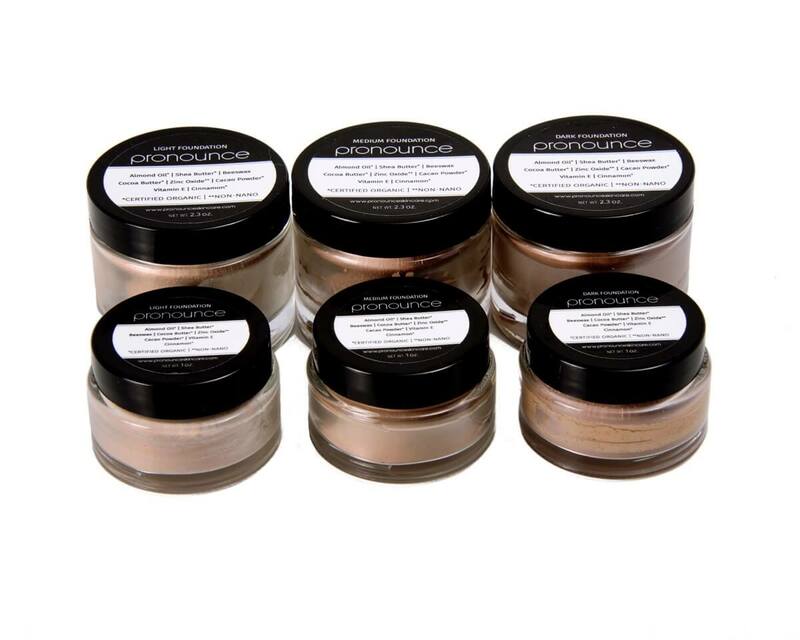 But, you will want to add arrowroot in it’s place to keep the same ratios for creating the perfect shade for your skin tone. Remember you can purchase small amounts of the best quality zinc oxide (much more affordably) in my online skincare shop. The zinc I use is non-nano, uncoated, and not micronized. The zinc can be used in my DIY smooth finish foundation and in my DIY sunscreen, so you’ll have plenty of uses for it. When working with raw zinc just be sure to not breathe it in. Wear a mask, hold your shirt over your face, or simply be careful and don’t put your face right in it. When the zinc mixes with the other ingredients they bind together so you don’t have to worry about breathing it in then. Also, it sticks to your face, so you’re good! What is the SPF factor of this powder? The recipes as written here contain approximately 20% zinc oxide. This gives you approximately a 20 SPF. You can purchase zinc HERE. I don't have arrowroot, can I substitute it with something else? Possibly. 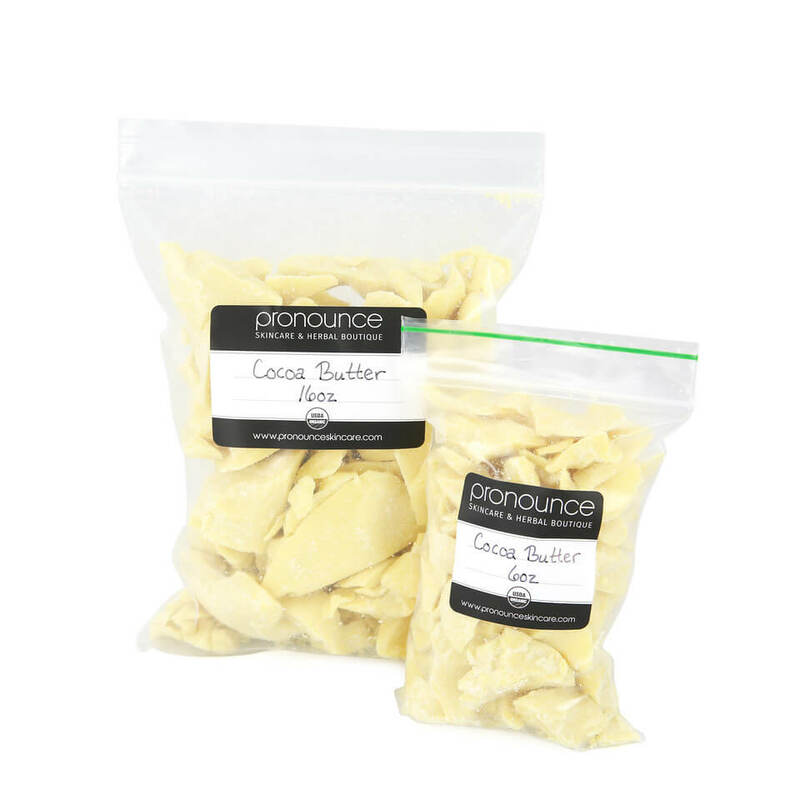 If you have a cornstarch that is organic and GMO-free, you could use it in place of arrowroot… but, I strongly prefer the feel of the silky smooth arrowroot over corn starch any day. It is not an expensive ingredient and it can be very versatile in your kitchen, too. I say go ahead and pick some up at the health food store or you can have organic arrowroot delivered to your door at a very reasonable price. I'm allergic to cinnamon; can I replace it or leave it out? The answer to this one is more simple… sure! Yes, you can replace it OR leave it out. 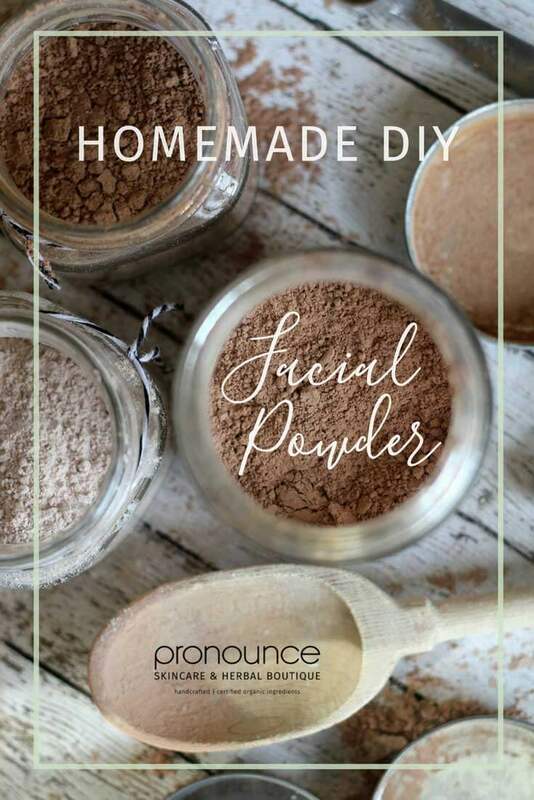 I add it for two reasons; it adds a bit of depth to the DIY facial powder (and other layer of color) and I like the slight added hint of cinnamon in the smell. You could leave it out (and add extra cacao powder in its place) or you could sub in something else (like ground organic nutmeg) for an added element of depth of color. I have never had a batch go bad and I make very large batches. That said, as with any organic, natural, no preservative personal care products, use common sense. Do not leave the lid off for extended periods of time (which could allow bacteria to enter). Do not use dirty fingers in your container at any time (again, bacteria risk). Always create these products with proper sanitation in mind; clean hands, clean tools, water-free-zone, a clean work area, etc. but you aren’t always a DIY-ish person? 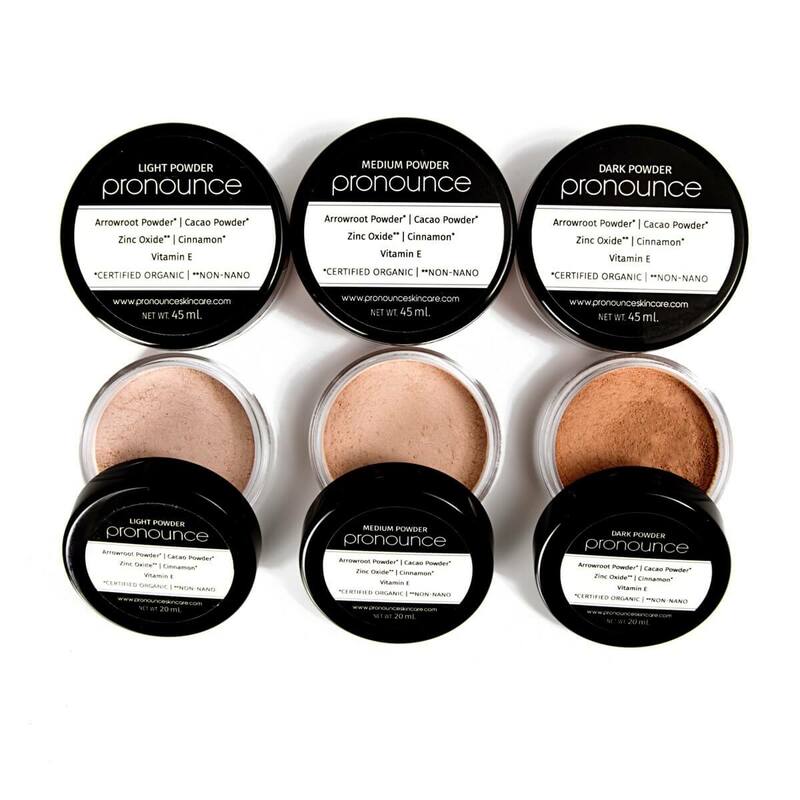 Please, head on over to my Pronounce Skincare Shop where I sell this powder and foundation. This is copied from the EWG (Environmental Working Group) page about sunscreens. The page also talks about nano versus non-nano labelling of products. Based on these statements, it would seem that there are no guarantees that zinc oxide sold as non-nano is truly non-nano and regardless of whether it is non-nano or not, the EWG “strongly discourages” using loose powder containing zinc oxide. I love the idea of having zinc oxide in the facial powder because of its sun screen and skin healing properties but am questioning how safe it is to be applying it in its powdered form. Not recipe related but I do have a few questions about the spice grinder that you use. How do you clean it? I’ve been reading reviews for it on Amazon and see where people are saying it is a pain to clean and recommended getting 2. One for spices and one for coffee. Lol, that would mean I’d need 3 if I wanted a dedicated one for making something like this powder. There has got to be a better option. Hi Lisa~ Hmmm, I really don’t find it too terribly tedious to clean mine. I just use soap and water to clean it, being careful around the blades. I find that spices like turmeric tend to leave a lingering scent in my spice grinder and Instant Pot, but don’t have any issue with anything else. I hope this helps! I am allergic to Vitamin E, can I leave it out of recipe for the powder? You said that the Vit. E would help it last longer. How long will it last without it? Any substitution that would preserve it? 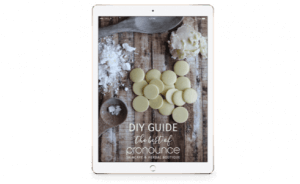 Do any of your DIY recipes require the Vit. E to make them work? Thanks!! Great question! Yes, you sure can leave it out, especially in this kind of recipe using only powders. This recipe (even without the vitamin e) will last you a long, long while. Just make sure you keep it covered tightly when not in use, don’t get water in it, etc etc etc. You can leave it out of other recipes, too…but just note that they might have a shorter shelf life. It’s all about taking great care with natural products. I hope this helps. Happy DIYing! I love love love this powder!! Thank you!! Just made this last night and it turned out great! My face feels great this morning with just this on plus my misting spray (aloe, glycerine, water, and essential oils). I adjusted the cacao and cinnamon amounts until it got to the shade I wanted, but I should have made more careful notes! Next time I plan on using my scale to weigh out the grams as I mix — also to know exactly how much the final yield is! I can’t believe I was paying $32 for 0.21 oz of mineral powder foundation before now. This recipe is a game changer! Yay! I’m so glad that you love it, too. SO easy, affordable, and clean. Enjoy! Hello ma’am! I’m from India. Do you ship products here? Also, would cocoa powder work like cacao does? I have no idea what the difference is since I don’t use it much. Hello in India! Yes, I ship worldwide. International shipping is flat rate $11 USD per item. You’ll see shipping rates populate during the checkout process. And yes, you can use cacao and cocoa interchangeably. Hi there, I was wondering whether coconut flour could be substituted for arrowroot powder for the facial powder recipe? Both are fine white powders… so I’m curious if they could be used interchangeably. I welcome your feedback. Hi Marina. Unfortunately, I don’t think so. :/ Arrowroot powder has much more ‘slip’ to it than coconut flour and is much, much more fine. The only other substitution I could recommend with this similar slip is cornstarch (but I don’t really recommend that, either). I hope this helps. Happy DIYing! Hi Saba. You could use cocoa powder or cacao powder (I strongly prefer cacao powder). You cannot use coffee. I hope this helps. Happy DIYing! I’ve enjoyed using arrowroot as a face powder. It gives a nice finish and keeps me shine free better than any other powder I’ve used. Though I’m curious, has anyone tried bamboo or rice powder? 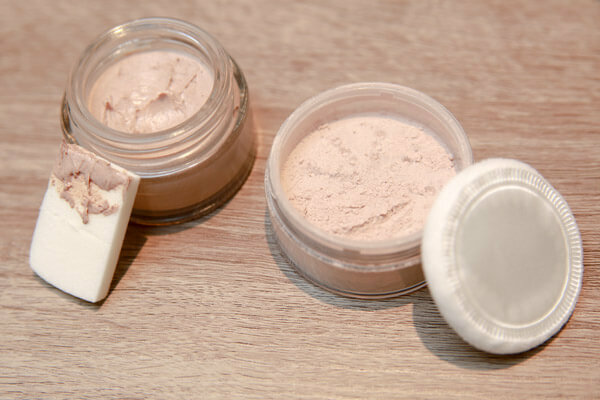 To make it into a bronzer/blush you can add powdered, dried, hibiscus flowers for a rosy glow. I just want to say THANK YOU!!! I’ve been looking for simple DIY chemical free make up and this is just beautiful. I’ve made my first batch and its perfect!! Not only does it look great, my face smells like amazing!!! I just finished making this properly last night and i have to say it’s pretty good. I initially tried it without a proper spice grinder to mix and the “stick” wasn’t very good. The powder seems to cling together much better now and i’m less worried about flying particles etc. Investing in a cheap spice/coffee grinder helped a lot. It took a while to get it to the right colour for my skin but i think i’ve nailed it now. I’m about to make this powder, but everything I’ve read states that through extensive research, zinc is toxic to inhale- either non-nano (which is misleading) or nano particles. Feel free to wear a mask, if you like (or simply cover your face with your shirt). You certainly do not want to inhale a lot of zinc, so take care when transferring it from the bag to your new creation. And yes, always source non-nano zinc! Hi! I was wondering if it possible to make the foundation & powder with out sunscreen (zinc)? Would I have to modify the recipe? Or would it be better to buy it made already from you?! Thank you!! This powder is even better than any commercial brand I have ever tried, even the most expensive ones. And it’s so easy to customize. I ommited the zinc powder and used less arrowroot to make it darker. I also added a bit of uncolored mica for a subtle glow. I tweeked the color a few times so I don’t have the exact quantities and I also used a little nutmeg and ginger not only for the color but scent as well. I am really grateful I found your site. When I first read about diy makeup I thought it must be so hard to create the right color (especially since I am not artistically inclined) but it was actually much easier than I expected. And it’s so inexpensive I plan to mix a bronzer as well tonight. I can’t thank you enough for sharing all these recipes!!! can i mix this in with lotion or sunscreen to make a liquid face concealer? Hi there! Well, I haven’t tried that, so I can’t say for sure. 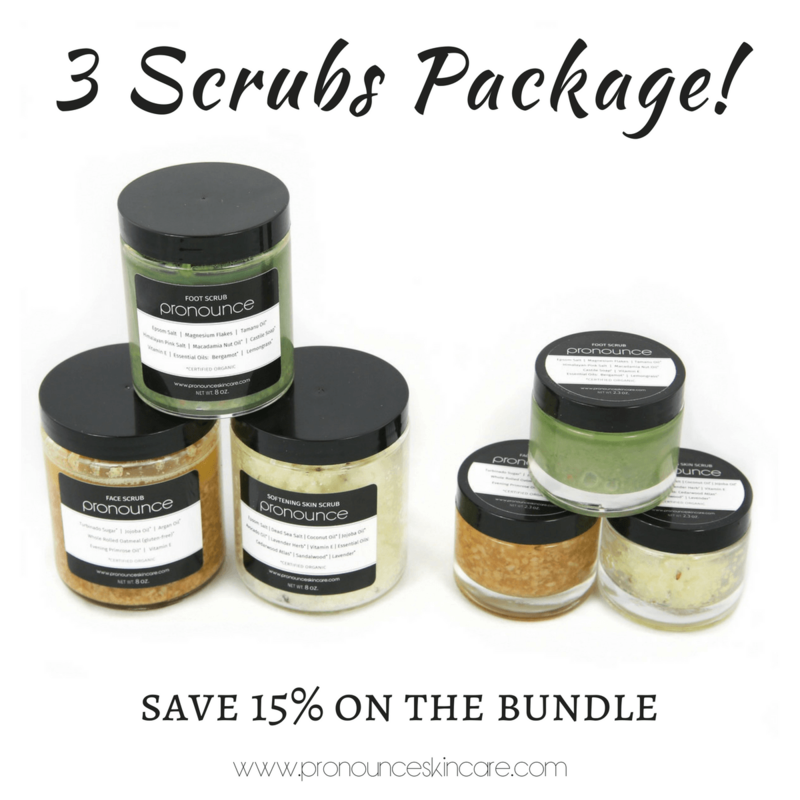 You might want to check out my organic facial foundation! 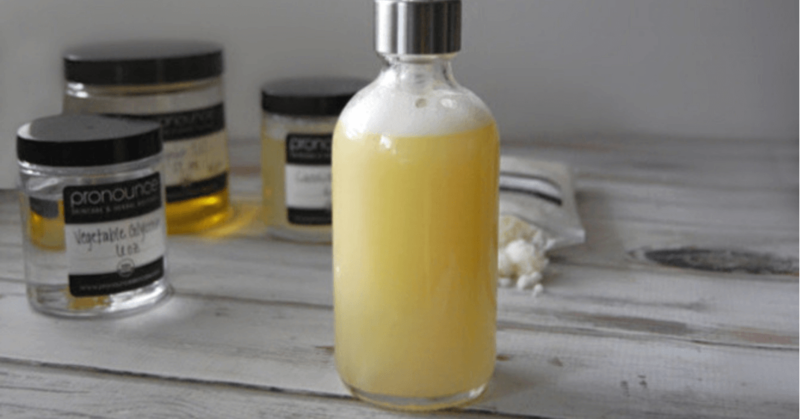 I offer the DIY organic facial foundation recipe and the option to buy my facial foundation in my organic skincare shop (that’s my business motto…DIY or Buy). Thanks for stopping by! I just made this powder without the zinc oxide (substituting extra arrowroot powder, as directed) and it is perfect! I don’t usually use powder because it makes my face look so dry and just accentuates my wrinkles but in my DIY quest for natural products, I’ve been using oil as moisturizer and I always use WAY too much, leaving my face quite oily for several hours, if not all day. I don’t wear foundation for the same reason (besides pure laziness), it always makes my face look so dry, even if I buy the creamy ones for dry/mature skin. I have a pretty bad case of rosacea, too, so saying that I look better without foundation than with is a big deal! I just made Scratchmommy’s foundation recipe, too, I’m waiting for it to set! It looks so moisturizing I’m going to start using it instead of my oils, two birds! Anywho, I had no intention of making this powder for the reasons I mentioned but as oily as my face has been, I needed to do something. (I honestly don’t care how oily my face is/looks but I have to put my hair up for a few hours after applying my oils or it gets oily, too! Just the strands around my face and neck, which is not particularly attractive, considering I’m an overweight woman with thin hair.) I thought, “So what if I hate it? I’m only wasting a little arrowroot powder!” I’m SO glad I did! It does NOT make me look like I’m wearing pancake makeup, and it honestly does not look like I’m wearing powder at all, it just absorbs the oils, leaving a smooth finish while adding a bit of coverage. I love it! I wasn’t sure about the shade (I used the medium recipe) so I put the arrowroot powder and cinnamon in a bowl and added the cocoa (I didn’t have cacao) by 1/2 Tablespoons, stirring with a fork in between, until I got to exactly 1 1/2 Tablespoons (the recommended amount). I thought it looked about right so I went to a mirror and tested it on my face, in case I needed a bit more cocoa. It looked good so I added the Vitamin E oil, 4 drops of Rosewood essential oil, and 4 drops of Sweet Orange essential oil before mixing again with the fork and putting it through the grinder. I know you don’t need essential oils but I just love the smell, and though the amount added probably won’t bear any benefits, I like to think they might! Either way, it looks and smells delightful! Not only do I love it, it’s so cheap and easy to make! Thanks, Scratch Mommy! Hi Jessica, I now have all my orders in and I can start making this. I made the sunscreen and have to say it made my skin look a bit white:) but it might have been from the bottom of the bowl. I’ll try it out more next week when we are going on vacation. I have a question about the zinc. 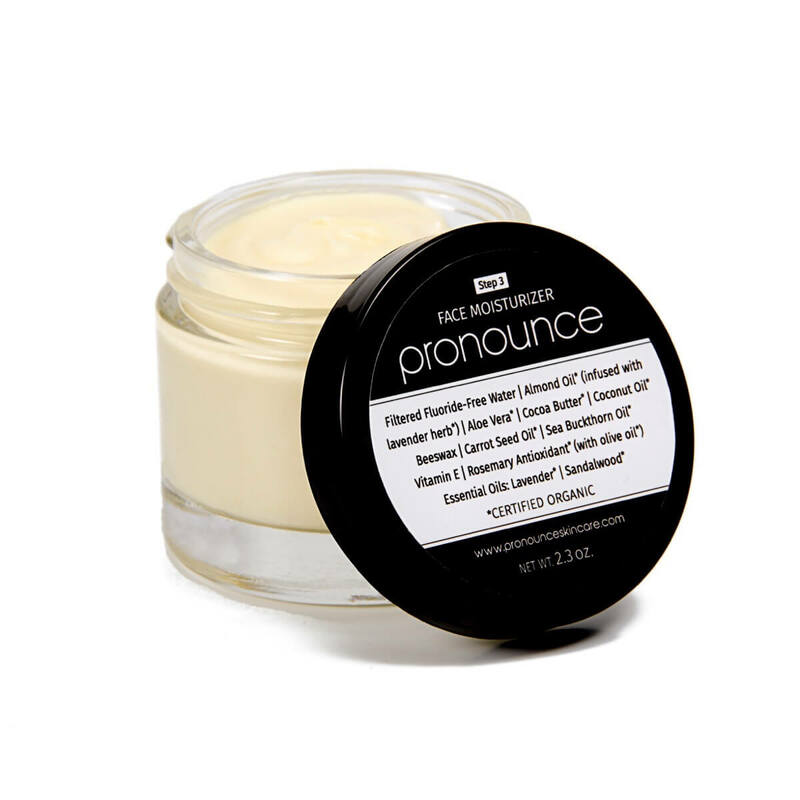 You say to wear a face ask when making the sunscreen but how about when you apply the powder foundation to your face? Do I need to pinch my nose to no breathe it in? Thanks for your wonderful website! I love it!! This is going to be a long post. Thank you for (what feels like) changing my life. In an hour I’m going to bring my DIY items to a get together with ten of my friends – I want everyone I know to have the experience I had today. I can’t believe I waited until today to try this stuff. My boyfriend and I have not used shampoo in a year (diluted baking soda works great) or conditioner (diluted apple cider vinegar is awesome, if not unexpectedly effective). We eat organic. We shop locally when we can. Our household and body cleaning products are either homemade or natural – and we do our best to check the ethics of the companies we support…………..
And although I’ve gone without deodorant for six months and it was “okay,” there was NO WAY that my boyfriend could do this. He tried all kinds of products and had limited luck. We made your deodorant this morning. Omgomgomgomg where have you been????? With that in mind I looked at the rest of your website and realized that I’ve been putting off buying make up (I am nearly all out of my stash) because I hate the idea that I’m a hypocrite for doing so well with my diet and then putting #/@%×^€ onto my skin. I’ve researched and I found what I thought was good, but I’ve never felt great about the purchases or the effect of wearing those products. So after using your deodorant for a few hours, I figured I had nothing to lose and a lot gain: I forged ahead making your beauty items this afternoon. Again: Omgomgomgomg your foundation and this powder have me looking better than I did with any of the ridiculously expensive products I was considering or have EVER purchased in the past. I’m including those high price chemically unpronouncable ones when I say this. Seriously, Thank you for changing my perspective today. You may not know all the people you’re affecting – so I want you to know how grateful I am and how inspired I feel right now. Now imagine all the people who don’t bother posting – you’re having a huge impact on a lot of individuals. So happy you are sharing your wonderful DIY recipes! 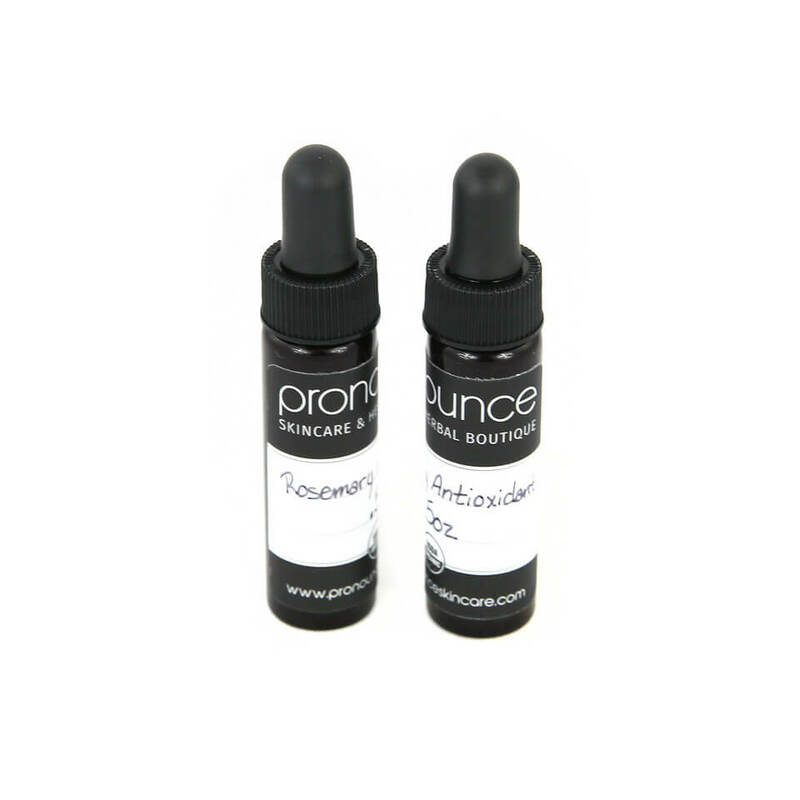 I have been using an “all natural” mineral make up containing mica. It claims this is harmless… now I wonder… What are your thoughts? I will try your recipe, can’t wait! Thanks! Hi Jessica, I love this recipe. I’m amazed at the quality of coverage and the soft matte look. One thing I’ve been concerned about in the weeks since I’ve started using it, though, is the amount of powder that billows into the air when I apply it, since supposedly it’s not good to inhale zinc oxide. I’m wondering if you’ve found any way of “taming” the powder so that it doesn’t billow as much? I’ve tried adding some essential oils – this seems to help somewhat, but not a lot. Thank you! Yes, you can add some EOs to ‘tame’ the powder. You can also add more Vitamin E. I hope this helps. My massage therapist who is also an aromatherapist turned me on to making my own powder foundation. I have yet to make it as I learned of this exciting DIY last night but she did put a bit of hers on the back of my hand to see it. 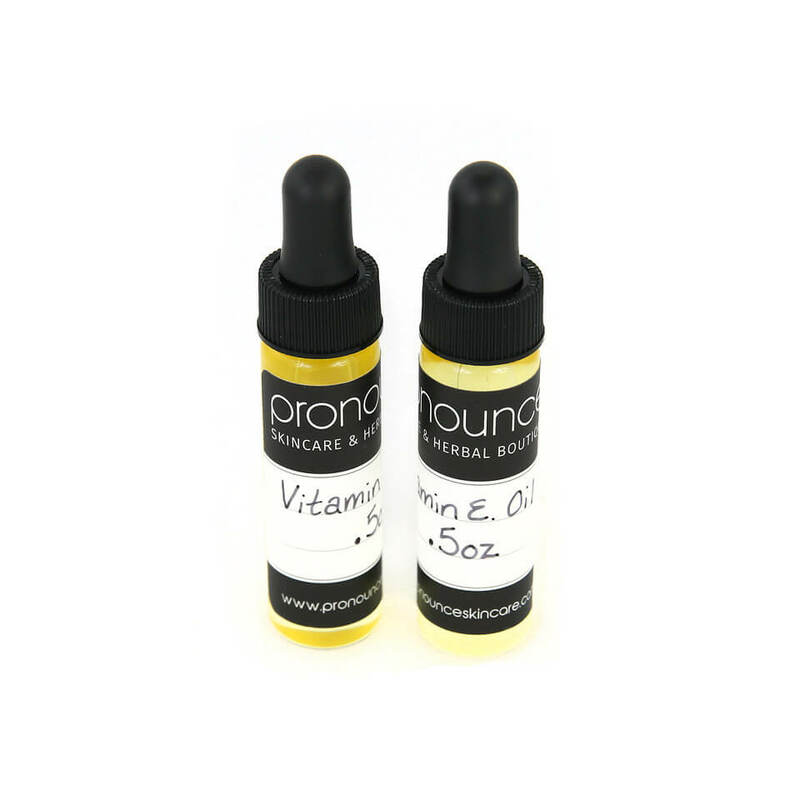 She adds a couple of drops of Jojoba oil to hers along with several drops of lavender and sweet orange oil. Surprisingly it is still powder in consistency but it applies easily without getting everywhere, I didn’t even notice powder as she applied it in natural lighting. Can’t wait for my ingredients to arrive Monday so I can make my first batch! Thanks Scratch Mommy for sharing, best recipe I’ve found with good base measurements to start off with while having the SPF property. Have a ? You mention being careful not to inhale the zinc oxide when making this powder… Shouldn’t I be concerned then when I am brushing this powder on my face that I might also inhale some in? How well does this powder stick to your face? I tried to make a powder earlier and it didn’t stick at all. i am so worried this recipie will do the same. I made this and LOVE it! I am never buying powder again, and I’m telling everyone i know about your site. But I’m concerned about breathing in the zinc oxide every day when I apply the powder. What are your thoughts on that? Any reassurances? Hooray! So glad that you love it, too! Yup, check out my response here to Wendy. Hope this helps. Hi, thank you so much for your inspiring DIY recipes! I use your site as a reference for my experiments all the time now! 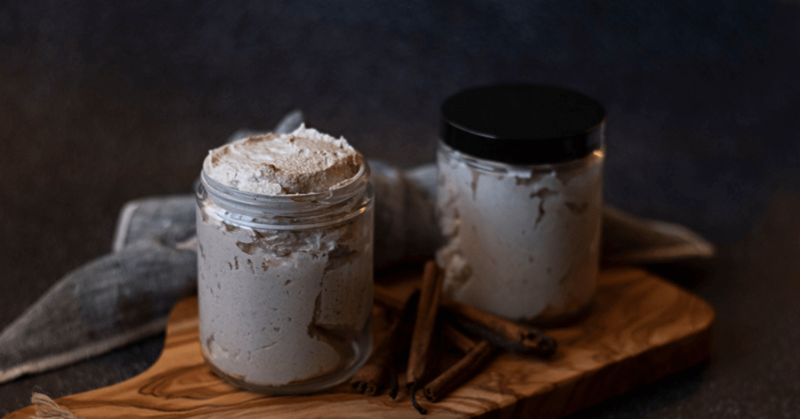 I was wondering if kaolin powder would work for this recipe instead of arrowroot? 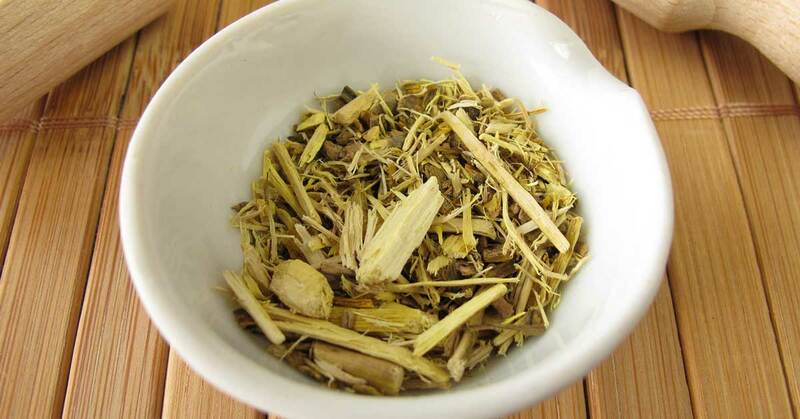 I’ve noticed that arrowroot dries my skin out some. Thank you for your time. I have a sensitivity to cocoa/cacao, have you tried subbing carob powder? Or have any thoughts on that? Hello! No, I haven’t tried subbing carob in this recipe, but I do love carob! I think you’d have a pretty close 1-to-1 ratio from cacao to carob, honestly. I can’t believe I have paid so much for bottles and jars of well…crap to be honest all these years. Posts like yours are so inspiring to me as I have also started making my own lip balm and toothpaste. Now, I am so very excited to try out your recipe for foundation and powder! I have a question though; what is the difference btw arrow root powder, and arrow root flour? Thanks! There is actually no difference, from what I know (someone might correct me, but I think that's correct). I use organic, sustainably-sourced arrowroot powder, but I do believe the flour really is the same thing. Happy and healthy DIYing to you! Finally got around to making a batch of this powder, and I have to say that I am impressed! I had to use cocoa instead of cacao but it seems to work just fine. I also used 7 drops of Vitamin E and 4 drops of jojoba (which is my favorite skin oil), and I think it came out to a perfect consistency. I chose not to include the zinc (even though I do have it in the house) because my skin is incredibly sensitive and I have to be really careful about it, and I was also a bit concerned about putting it in a powder – I don’t want to inhale it every day when I am putting on my powder. I will use the zinc in preparations that are more creamy instead. If anyone comes up with ideas for a red dye to use in the recipe (beet powder, maybe?) will you post those? Thanks a million for this recipe! SO glad you love it, Kay! Sooo excited to put NATURAL sunscreen!! I’m absolutely convinced that sunscreen is the key to autism. Think about it…it’s in EVERYTHING and they really started pushing it and putting it everywhere in the 50’s. Look at the autism statistics…you do the math. I try to stay away from sunscreen at every turn. Just a guess, but I’m betting on it. Wonderful product and recipe!! THANK YOU, THANK YOU, THANK YOU!!! This looks awesome! I just can’t help but think of other possibilities, of having the medium or dark powders and amping up the cinnamon measurements to make the powder a little warmer in colour, and using it as a bronzer! And I wonder if there’s anything that could give it a more peachy colour to have a more subtle blush effect? Maybe taking out some of the cacao powder and putting in more cinnamon, or something else even. I just want to try everything! Hi Jess! Thanks for sharing this amazing recipe! I can’t wait to try it and replace all the “natural” makeup I’ve been using, but I do have a question. I’m Asian and have a more yellow undertone. Do you have any suggestions for the ratio between cacao powder and cinnamon to start with? Hi! Really, you just have to play around with the recipe to get your desired shade. You could try a bit of turmeric! Hi! I just made a batch of this powder using all of the ingredients you listed. It wont to stick to my face, any ideas to help it stick? Hi! Hmmmmm, won’t ‘stick’? I have had an issue with sticking, at all, so I’m not entirely sure what this really means. You mean you don’t see the powder? Does it need to be darker (more cacao, perhaps)? Did you follow the direction exactly and use the same ingredients? I was wondering…could Vitamin E Oil could be substituted with Argan or any other shelf stable oils. Maybe even Raspberry? Mmmmmm, perhaps. I suggest vitamin E, as it’s great for skin and acts as a way to help elongate the life of your powder, by way of decreased oxidation. This is really great. I am spending a fortune on Jane Iredale mineral foundation (its way more than $34). But unfortunately I am a bit older than you and have to use a liquid. Do you have a recipe for liquid foundation? Thanks. She does! Not liquid I guess but creamy foundation. But she recommends still using this powder over it. Wow, Jessica, I’m seriously impressed. I really want to give this a go! I add turmeric to the recipe to give the powder a yellow base. …but, good news is this powder recipe is so darn easy to make AND whip on your face in the AM. Hooray for small victories! Glad you like the recipe. Tina @ Oh Snap! Let's Eat! Very interesting idea – might have to try this! Yay! Now you have a guide. Let me know when you try it! Beautiful recipes and so easy! I had no idea making facial powder could be so easy. thank you. Thanks for stopping by…and, you are welcome! Love this! It’s so important to use safe and natural ingredients on your skin. 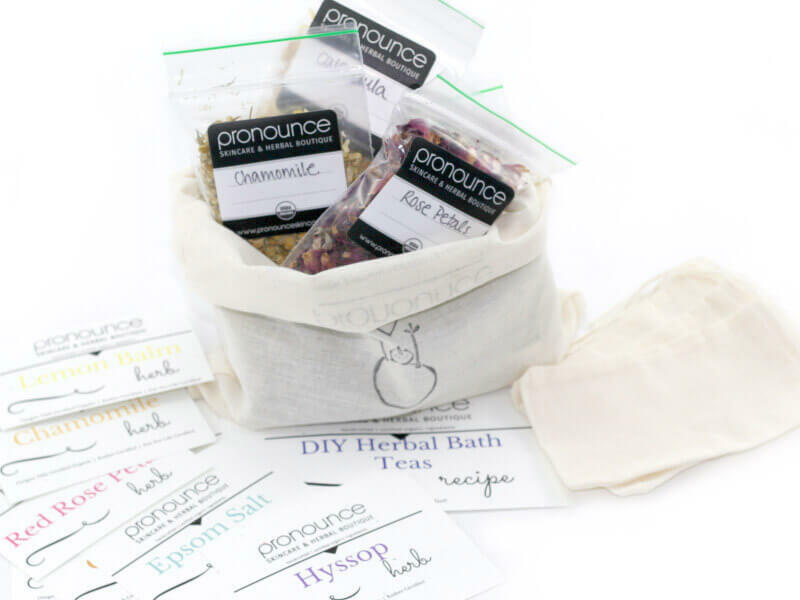 Thanks for sharing all of your amazing DIY body care recipes with us. <3 Thank you, Emily. I love sharing healthy, *real* DIY body recipes. I am glad that you appreciate them.